The Rhône-Alpes takes its double barrelled name from the Rhône River and the mountain range of the Alps (Alps property). These being the two features that define this stunning region. It's made up of no fewer than eight departments. With all those mountains, it's hardly surprising that many buyers are attracted to the region by its ski resorts. In fact, the Rhône-Alpes is the world's largest ski area. It has some 160 dedicated ski resorts to choose from. Then there are the beautiful lakes with elegant lakeside properties to tempt you, and vibrant cities like Lyon for those who love city life. The property market in France has never been subject to the same wild fluctuations seen in the UK. And it certainly hasn't suffered from the over supply of new build homes that Spain has seen in recent years. So, French property is always a good investment. That said, economic factors over the past few years have seen many sellers reduce the price of their properties to achieve sales within a short time period. Sellers are also pricing more reasonably. All of this is good news for buyers, as they could really benefit from the current low prices and find a bargain and/or a very exciting investment opportunity. There is a generally held belief that the Rhône-Alpes region has a shortage of property that is yet to be renovated. 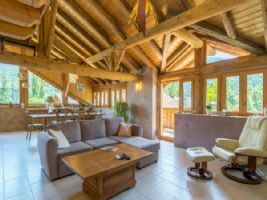 Certainly, a lot of old Alpine farms and barns have been snapped up and renovated into wonderful mountain homes and ski chalets (Ski Chalets for Sale in France). But we've have some great properties still waiting for that TLC. Both new build and renovation properties in the Rhône-Alpes can represent a great investment as the region never loses its appeal for tourists, and rental markets are strong. If you are thinking of buying a property in the Rhône-Alpes, chances are that you are also thinking about skiing. Where better than an apartment right on the pistes. We've found properties offering just that, which aren't beyond most pockets either! Of course, you don't have to live directly on the pistes to enjoy skiing. If you want access to ski resorts, but prefer to be a little more off the beaten track, how about looking at farmhouses? Usually in idyllic spots for those peaceful getaways, but being in the Haute-Savoie, there are ski resorts always accessible! If you want to make some money back from your property investment in the Rhône-Alpes, there are a few possibilities. You can rent out your property when you aren't using it yourself, if you make sure it appeals to holidaymakers. The lifestyle of the Rhône-Alpes is tailormade to suit everyone who enjoys amazing scenery and plain nature, outdoor activities and a rich and wonderful gastronomy. You can lose yourself in the tranquillity of the countryside, or pick a property near to a lively resort where the nightlife is second to none. What's not to like? Take a look at the ten properties we've picked out here, and see what you could buy to make 2018 a special year. A ski-in, ski-out studio apartment with great views. An ideal investment opportunity. 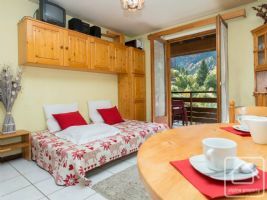 This bright studio apartment is situated on the 2nd floor of the La Moussière residence in the ski resort of la Grande Terche, part of the Portes du Soleil skiing domain. The apartment has a typical coin montagne with clever folding bunk beds that can be tidied away during the day to give more space, then folded out at night-time. Sitting above the village of La Baume, this property is in need of full renovation. 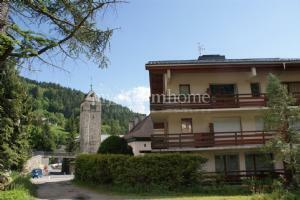 Attractive south facing studio apartment with amazing views of the Morzine valley and Pleney. 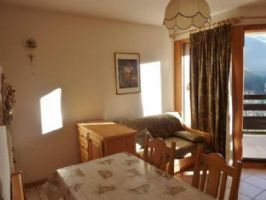 2 bedroom ski apartment for sale in Flumet 10 minutes from Megeve. The property is made up of an entrance, bathroom, wc, living and dining area with open kitchen, balcony, 1 large bedroom and a small bedroom (double bed) and is sold with a ski locker. The flat is ideally placed in the village centre with access to all amenities, ski bus and lake by foot. Flumet is part of the Espace Diamant ski area, boasting 192km of slopes. Ideal holiday home just over an hour from Geneva airport. 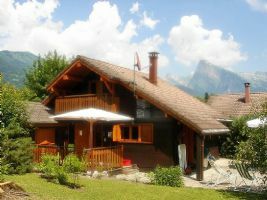 This chalet is in 'Les Hameaux Du Giffre' chalet park, in the Giffre Valley with stunning views of the surrounding alpine mountains. 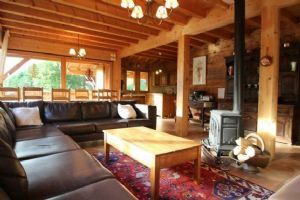 It nestles on the edge of woodland alongside the river, just a few hundred metres from Verchaix centre and 5 minute walk up to the village of Morillon. It is a charming chalet, well equipped, comfortable and a perfect location for holidays all year round at affordable prices. Moreover it is being sold furnished. Guaranteed rental income summer and winter. This is a superb 4-bedroom half chalet loft apartment, fully renovated from an old barn, in a little co-propriety in a delightful hamlet near Bourg St Maurice. It’s just a five-minute drive to the funiculaire that goes up to Les Arcs and Paradiski and it is close to the main route to Val d’Isère, Tignes, Ste Foy and la Rosière. Charming stone property, oozing character in Massignieu-de-Rives (01300) on the border of Savoie and Ain. The main part of the old farm is made up of a stone 4 bedroom house of approximately 165m2 consisting of living room, dining room, 4 bedrooms, bathroom, shower room, 3 toilets and various decorative fireplaces. The property is full of original features, such as old beams, exposed stone walls and fireplaces. This beautiful chalet has been built to a very high standard, close to the village centre and the ski slopes, and yet enjoys the peacefulness of the closeby river. 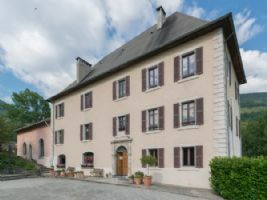 This is a beautiful 17th century manor house located on the heights of Bellecombe, near Moûtiers and Aigueblanche, which is well located for the ski resorts of Valmorel, the 3 Valleys and Paradiski. 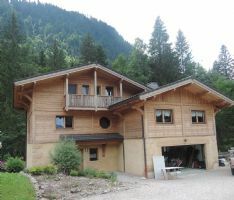 Very well maintained chalet located in a quiet area of Morzine, but just 600m from the nearest lift. 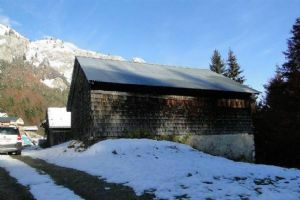 Built in 2003, it has been used as a catered chalet ever since.